Can Chaats be Healthy Too? Let’s face it that when hunger strikes, people tend to eat almost anything. They just forget about the calories and eat just to satiate their hunger. If they are outside then they eat street foods like chaat and golgappa, etc. but, are these foods healthy? Well, it is true that chaats are very taste and appetizing and not that unhealthy too. Whether a chaat is healthy or not, depends where you are eating. Chaats can be healthy too, if you are making it with healthy ingredients or eating at good place where it is prepare and served in hygienic manner. But, if you are on a weight loss regime then, you are responsible for each bite you eat. Though chaats are prepared with the mixture of various ingredients yet, they are not so unhealthy to eat. But, there are Chaats like Aloo tikki chaat and samosa chaat can be unhealthy especially for the people who are trying to lose weight. The good thing about the Indian chaats that you get varieties to choose from. There are variant varieties of chaats that are popular in all over India. There are many chaat franchise in India where you can relish the delicious Indian chaats. But, if you want to keep maintain your healthy diets even while relishing the scrumptious chaats then, here we have made a list of top chaats for you. 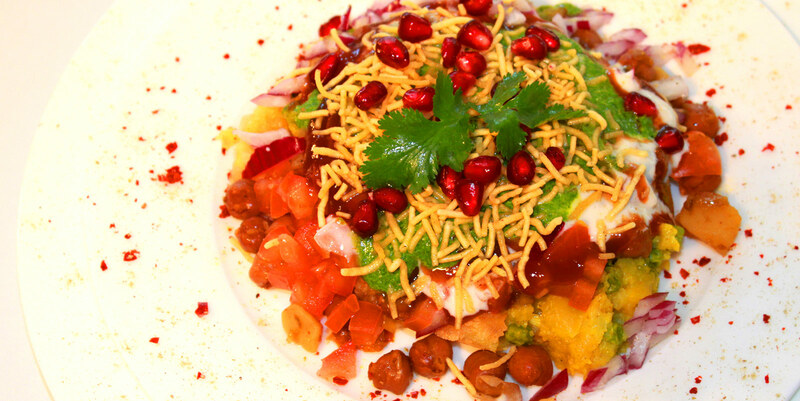 Here we have listed few popular chaats for you that are healthy enough to eat. Here is the list of some popular chaats with their calorie value. One of the most popular chaats in India is Aloo Chaat. Deep fried potatoes mashed and served with dahi, chaat masala and sweet tangy tamarind chutney. Though this is one of the most delicious street food items in India yet, this chaat is not so unhealthy and is on our approved list of chaats that are healthy to eat. This dish carries around 350 calories depends on the serving size. Bhelpuri are the popular evening snacks in India which are made from puffed rice with mash boiled potatoes, sev, tomatoes and onions along with sweet tangy tamarind sauce. This can be a healthy option for those who are watching their waistline. Approximately calories for one plate Bhelpuri is 250-300 calories. Often called as Golgappa, Panipuri are one of the most popular and almost everyone’s favorite street food item. Panipuri is a round, hallow, fried crispy balls that is filled with potato, onion and matar masala and dipped into tangy flavored mint or tamarind water. Though the balls are fried but yet the filling are healthy sometimes and this is why Panipuri is in our approved list of healthy chaats. 150-180 calories for 4-5 medium size pieces. If you are on weight-loss regime and want to eat the delicious chaat then, you can go for this delicious and healthy chaat recipe. For this all you need is oats, vegetables, curd, chana and mint chutney. Here is the recipe of the healthy chaat that you can eat every day and also serve to your guests. Dry roast the oats for 3-4 mins in a non-stick pan and keep aside to cool. Take a mixing bowl and add oats. Now add all the ingredients with roasted oats. Garnish it with coriander leaves and pomegranate. If you want to have delicious chaats even during your weight loss journey then, try this delicious chaat recipe at home. If you have interest in starting your own restaurant in India where you can serve delicious chaats and other street foods items then, you can buy street food restaurant franchise in India through a leading food franchiser.